It’s official: The Centers for Medicare & Medicaid Services (CMS) 2019 fee schedule is in effect as of January 1, 2019, bringing with it three new CPT codes that allow for expanded reimbursement for remote care services. CMS Code 99453 covers reimbursement for initial set-up and patient education on the use of equipment for the remote monitoring of physiologic factors like weight, blood pressure, pulse oximetry, and respiratory flow rate. CMS Code 99454 covers reimbursement for initial supply and daily recording or programmed alert transmission for a 30-day period for remote devices measuring the same physiologic factors as code 99453. CMS Code 99457 covers reimbursement for remote monitoring and management of physiologic conditions, including 20 minutes or more per month of staff time requiring interactive communication with the patient or caregiver. For the most part, industry observers agree with Wicklund’s assessment, presenting the new CPT codes as a means for RPM to become a more lucrative method of care delivery for providers. With the new codes, “RPM will become an area of significant upside potential over the coming years,” writes Nathaniel Lacktman, a healthcare lawyer specializing in telemedicine and telehealth. 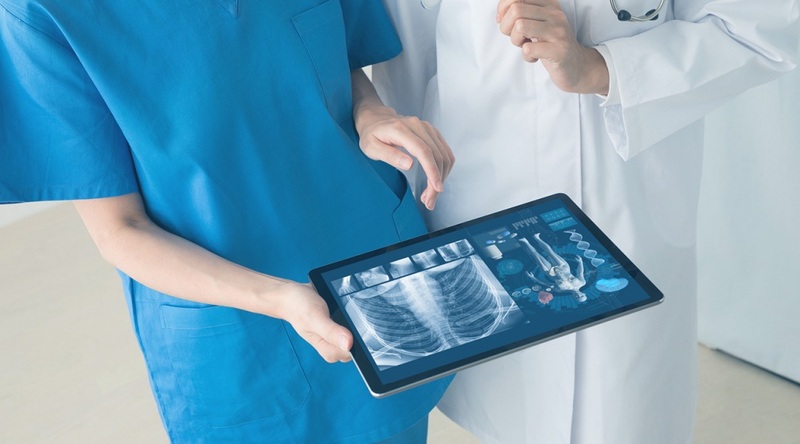 “Hospitals and providers using RPM and non-face-to-face technologies to develop patient population health and care coordination services should take a serious look at these new codes, and keep abreast of developments that can drive recurring revenue and improve the patient care experience,” Lacktman advises. For its part, the CMS has pitched the updates to its fee schedule both as an opportunity to enhance patient access to care and a means to inspire technological innovation in healthcare delivery. Yet even so, recent reports have shown that the majority of healthcare providers aren’t yet aware that the 2019 CMS fee schedule adjustments allow for expanded reimbursement for remote care services. A December 2018 telemedicine report from Reaction Data found that just 33% of physicians, administrators, healthcare executives, and IT professionals were aware of the new codes. But experts are also confident that this awareness will grow in the years to come, as will the use of remote care services in general. Though there remain challenges to implementation — such as the relatively slow pace of the CMS to provide widespread reimbursement — those obstacles are being steadily chipped away each year. Learn more about how the 2019 CMS fee schedule changes could help you move forward with RPM delivery: Contact us here to schedule a complimentary consultation with a Care Innovations remote care specialist.